Airblock, an easy-assembling modular and programmable drone. It can be transformed among multiple forms like drone, hovercraft and other systems. With graphic programming software, Airblock inspires creative ways to play. Airblock is easy-to-play. Block assembly is simple and quick with well-designed magnetic connection. 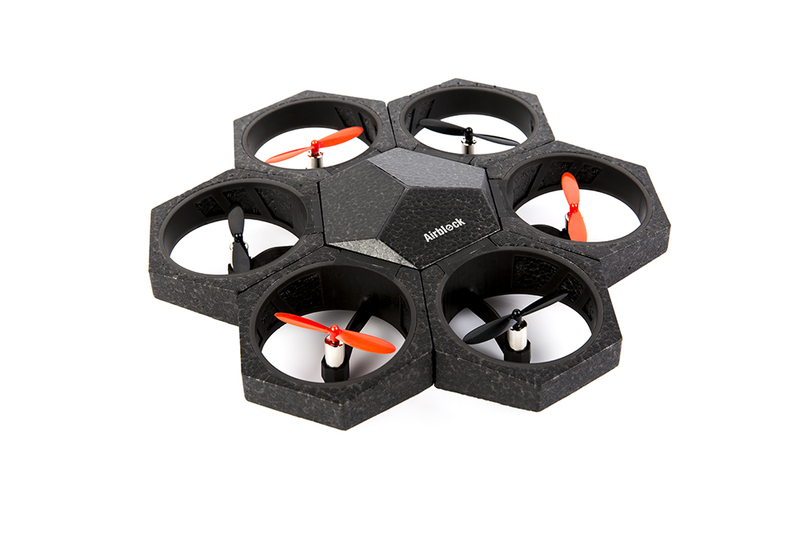 Everyone can enjoy the charm of modular & programmable drone. 1 main module & 6 rotors. Plug & play using magnetic connection enables creative transformation of Airblock and infinite fun. Airblock's main control module comes with three integrated LED lights, for which the color and brightness is individually controllable, a barometer for altitude sensing, a ultrasonic sensor for distance measuring, a gyroscope measuring and maintaining orientation, and a Bluetooth module for connectivity. The propeller modules are composed of hollow cup motor and propeller. Airblock's standard form is the six-rotors aircraft. Makeblock APP contains pre-defined functions. User can also create and Program Custom Controllers to realize the imagination of Airblock. 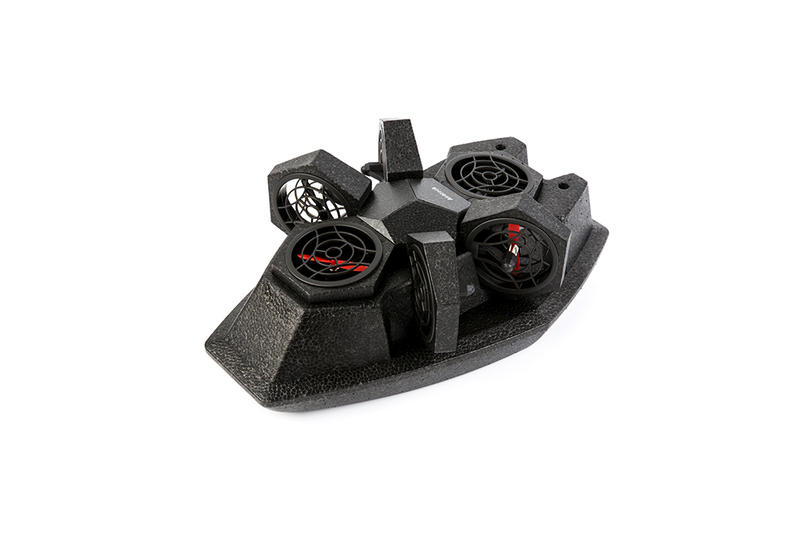 Simply rotate four of the propeller modules and install the included base to turn your aircraft into a hovercraft able to travel on level ground and hover above still water. Turn your aircraft into a car with LEGO blocks or other mechanical parts and use your Airblock as an aircraft engine that thrusts air backward to propel your vehicle forward. Utilize your propeller modules to move and manipulate everyday objects like paper cups to create moving puppets that you control by commanding your Airblock. The vertically installed propeller modules makes the unicycle turn and move forward whilthe horizontal propeller modules helps the unicycle turn.